October | 2011 | The|Coinologist. Hope you get all treats and no tricks! Happy Halloween from The|Coinologist! “Waiting List Notice: The number of orders we have taken meets the maximum limit for the 2011 American Eagle 25th Anniversary Silver Coin Set. You may still place an order for this product, which will go on a waiting list. If a product becomes available due to an order cancellation, we will fulfill orders from the waiting list on a first-in, first-served basis. We cannot provide information about your position on the waiting list. This set was almost a sure thing to sell out. Now we can sit back and see what the secondary market does to the price of these beautiful coins. On June 28th, 1935, President Franklin Delano Roosevelt authorized construction of the federal bullion depository at Fort Knox, Kentucky. Amount of present gold holdings: 147.3 million ounces. 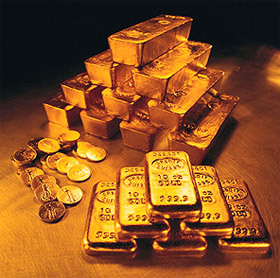 The gold is held as an asset of the United States at book value of $42.22 per ounce. The Depository opened in 1937; the first gold was moved to the depository in January that year. Highest gold holdings this century: 649.6 million ounces (December 31, 1941). Size of a standard gold bar: 7 inches x 3 and 5/8 inches x 1 and 3/4 inches. Weight of a standard gold bar: approximately 400 ounces or 27.5 pounds. Building materials used included 16,000 cubic feet of granite, 4,200 cubic yards of concrete, 750 tons of reinforcing steel, and 670 tons of structural steel. The cost of construction was $560,000 and the building was completed in December 1936. In the past, the Depository has stored the Declaration of Independence, the U.S. Constitution, the Articles of Confederation, Lincoln’s Gettysburg address, three volumes of the Gutenberg Bible, and Lincoln’s second inaugural address. Special thanks to the U.S. Mint and Facts ‘O Fun. For other Coinologist U.S. Mint posts click here! Visitors to Glacier National Park can explore 700 miles of trails that wind through forests, alpine meadows, mountains, and around lakes. Celebrate the beauty of this national treasure with this spectacular five-ounce, three-inch silver coin. The coin’s reverse depicts a classic view of the northeast slope of Mount Reynolds towering in the distance, while a mountain goat climbs over the rocky slopes of the park’s high country. The obverse features the classic 1932 portrait of George Washington by John Flanagan, restored to bring out subtle details and the beauty of the original model. This uncirculated quality coin is a treasure that will be cherished for years to come! Add it to your collection today!. Here’s an American company that has made the 100 year club. Hauser & Miller located in St. Louis, MO, has been refining precious metals since 1909. “Fair, competitive, and fast returns have marked our philosophy for over 100 years. Our reputation in the industry is unrivaled.” They work with precious metals and are masters at fabricating many different metals. These are the places that you should be taking your scrap gold or silver to, not the “We Buy Gold” guy on the corner! All five coins are encapsulated and packaged in a single custom-designed, highly polished, lacquered hardwood presentation case and accompanied by a Certificate of Authenticity. on October 27, 2011 at 12:00 Noon (ET). It’s time to start thinking about the F.U.N. show coming up this January. 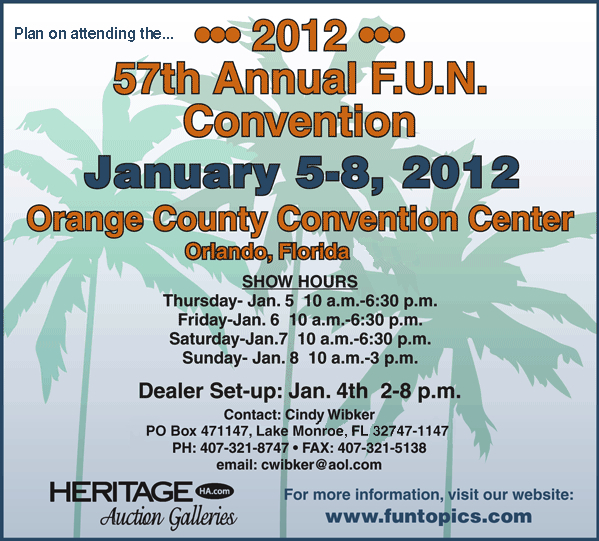 I attended last years show and it was great. This year it has moved back to Orlando, I’m sure by popular demand. For more information and some FUN topics click here! Image: Florida United Numismatists Inc.